We never get tired of recommending Opera as one of the best desktop browsers currently available. And now, with the recent arrival of version 37 to its stable channel and the exciting addition of an integrated ad-blocker, it seems like a good moment to recap all its attractions. We’ll try to condense them to five points. 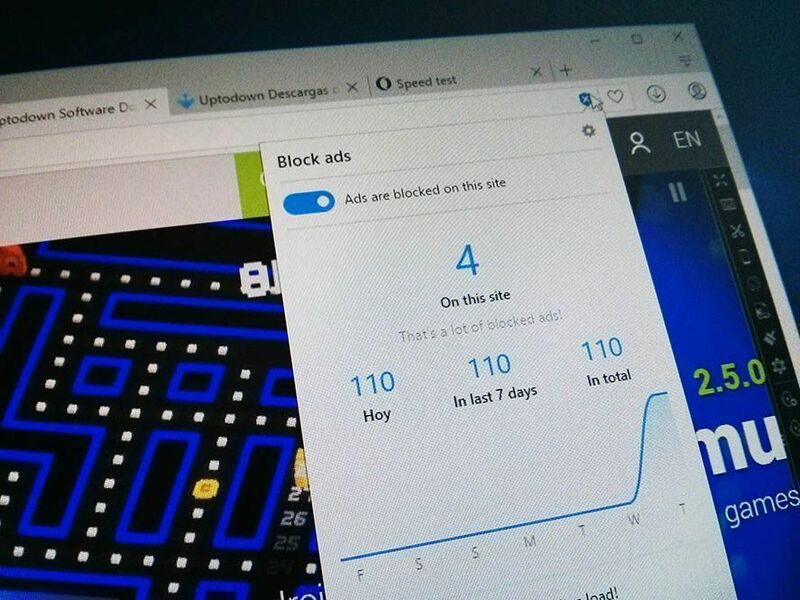 In March the option appeared on Opera’s dev channel to activate the browser’s own smart web advertising blocker—quite an aggressive measure in these times when the whole subject of ad-blocking still sparks controversy. (You know, “Who watches the Watchmen?” and all that.) To start, the browser offers a default white list with several sites that offer the user fair advertising, which enormously improves load times without causing problems in page layouts. 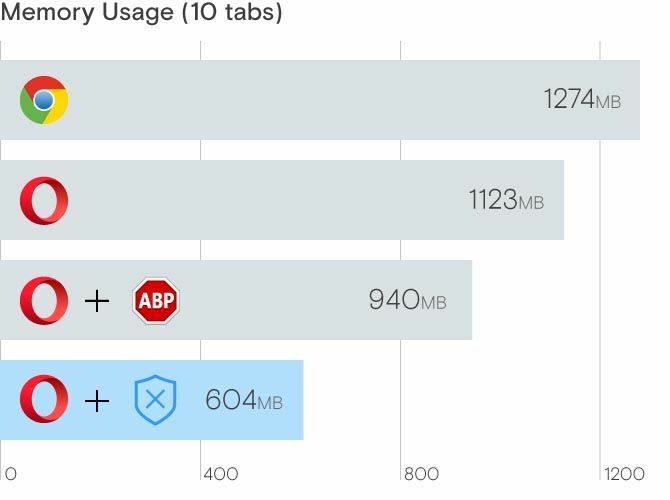 Although the performance is on par with Google’s browser, it’s undeniable that Opera’s resource management is much better (it’s no secret that Chrome has terrible memory management problems). Under equal conditions, the memory used by each browser is quite different. All this appears to be in line with the other versions of the browser: in the recent comparison of Android browsers we did here on the blog, Opera got a respectable position compared to its main competitors (and that’s not even counting its Mini version, which practically knocks the ball out of the park). In fact, it’s already available from version 37 on the dev channel, and its launch on the stable channel is imminent. 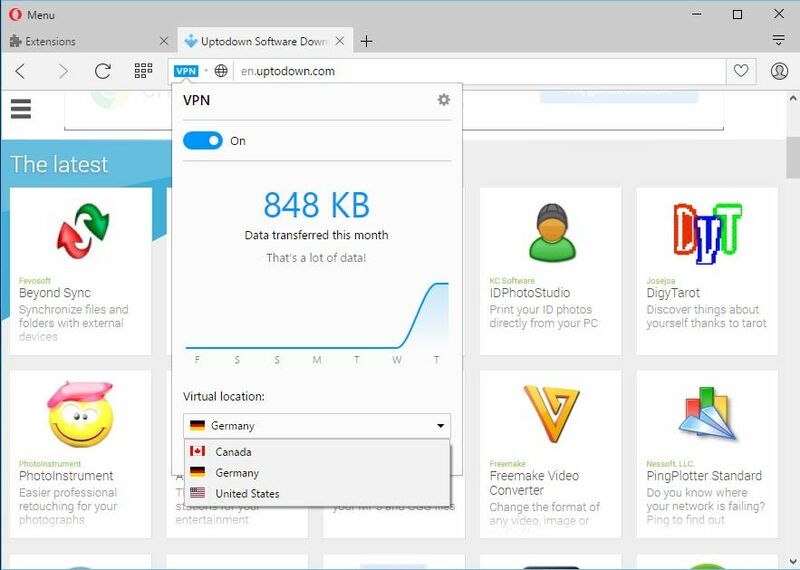 When activated you can access any page over a virtual private network that masks your connection with an IP address from Germany, Canada, or the United States. This ad-blocker + VPN combo is sure to create a big stir. It seems like developers still haven’t realized that the best way to make an app triumph is to know how to do a few things very well instead of adding “bulk” features without regard for the global product vision. (Yes, UCBrowser, I’m looking at you.) 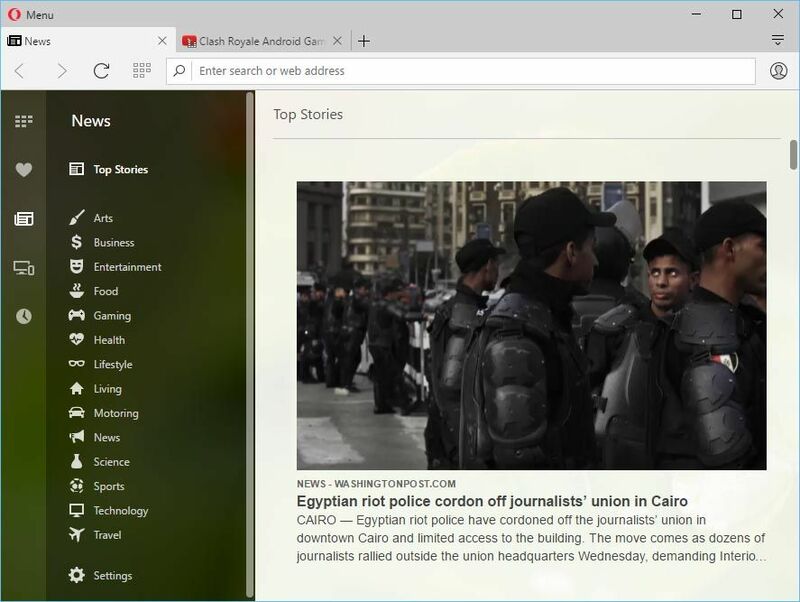 Be it its integrated, localized news section, its practical bookmarks organizer, the new option to view YouTube videos in an external window, the maturity of its extensions catalogue, or its Turbo mode to economize on bandwidth—Opera provides everything you need without getting in the way of what’s truly important: fast browsing. 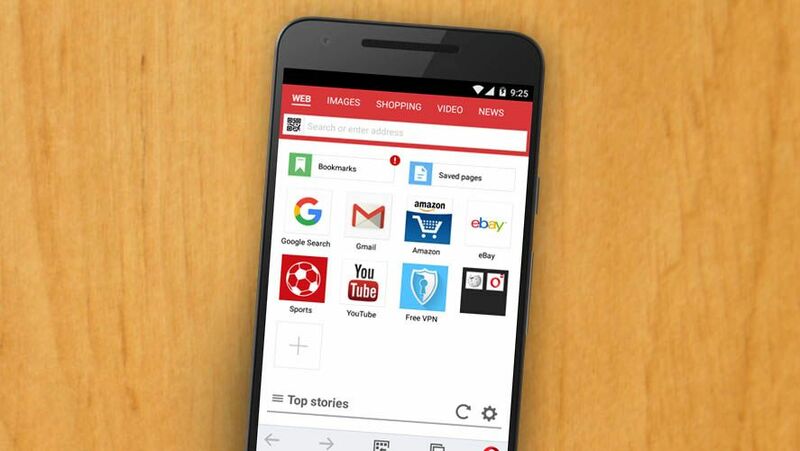 There’s a reason Opera Mini is one of most downloaded Android browsers on Uptodown, with more than 6 million downloads. The light version of Opera’s smartphone browser can run on practically any device, offering performance to make its competitors green with envy. And it’s latest version also includes the new ad-blocker. This, together with its synching capabilities with the desktop version, seems to be more than enough reason to give it a shot. I love Opera and, the latest ad-blocking is really awesome! 1.5.17: I have uninstalled Firefox, Slimjet and Chrome to only use Opera (Dev) from now. It has the best combination (performance+”eye candy”) that I have been waiting for. Opera is fantastic! You can even take screenshots and save them as a PDF from the browser!! Proof you don’t have to been Google or Firefox to have a top notch browser. Oh yeah, once you download the Opera Codecs, all video issues go away.